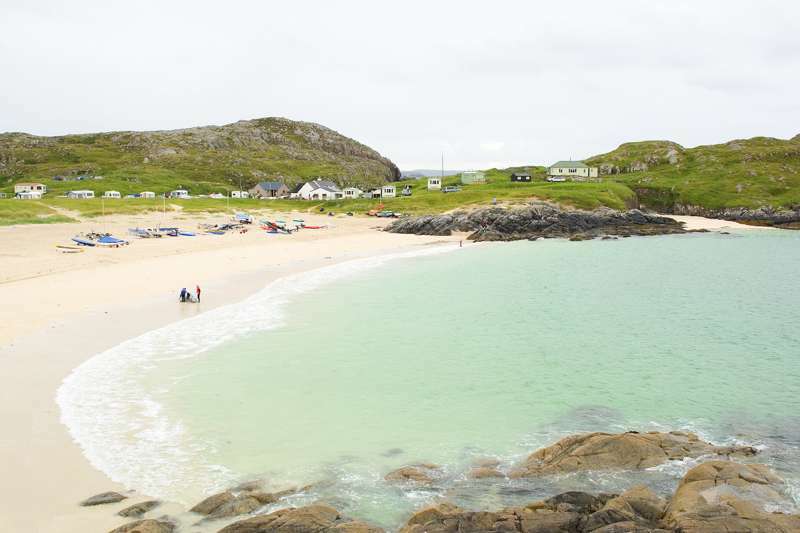 Just yards away from the white sands of Achmelvich beach – your own slice of hostel paradise. The legendary white sands of Achmelvich beach are often compared to those of the Caribbean – and they are just yards from your bed at this wonderfully sited remote Scottish hostel. What was once an old school building has been converted into a 22-bed, dog-friendly hostel, with a compact self-catering kitchen and larger dining area – it's a simple base but has all you need for a comfortable self-catering stay, especially as you're going to be spending most of your time outdoors. Rooms vary in size and include dormitory accommodation, private rooms and one family room. The hostel is set above its own crescent of white sand, while the local area is a wonderful place to go exploring the coastline and find even more secluded beaches, or head out on bracing hill walks; in the summer, group hikes are organised by local rangers. Watersports enthusiasts can enjoy canoeing, kayaking and windsurfing nearby. Sunrise and sunset in this area can be particularly spectacular, and at Achmelvich you can even enjoy them from the comfort of your hostel bed! Beds from £19 per night for adults, children £15. Private rooms from £45.